11 1/4 L x 5 3/8 H x 4 1/4 D in. 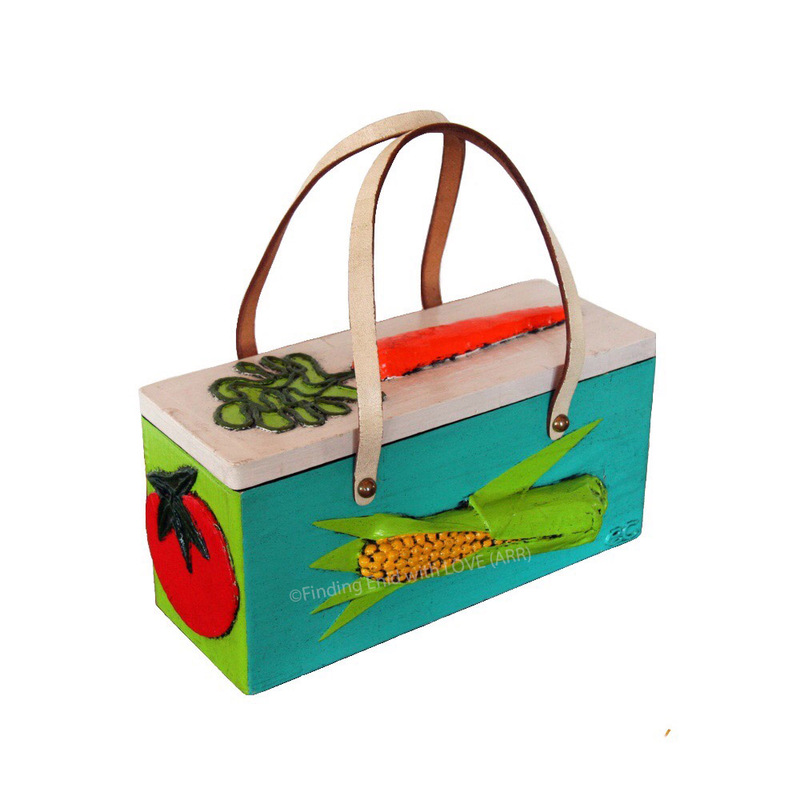 Top-opening solid wood box purse painted in antiqued neon colors and decorated on sides and top with bright vegetables: tomato, carrot, turnip and ear of corn. Two leather handles.